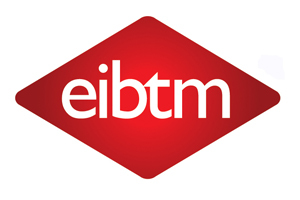 EIBTM hosted buyer numbers were this year up 2% on 2008 to 3,791, according to unaudited figures released today, the final day of the show in Barcelona. Reed Travel Exhibitions exhibition director Mandy Torrens said at the closing conference at EIBTM that hosted buyer numbers had reached an all-time high. Torrens anticipated that the total number of visitors to EIBTM would be similar to the 8,131 who attended last year. Hosted buyers registered for 54,255 meetings this year, which is 4% up on 2008. More than 3,000 people attended educational sessions, which is up around 15% on last year. Reed Travel Exhibitions chair Vanessa Cotton said: "We think this is the biggest educational gathering in Europe." Cotton added that EIBTM delegates' positive attitude was reflective of the events market. "Visit London exhibited at EIBTM and told us that it anticipates exceeding last year's figure of £52m worth of business enquiries from the show, which plays a crucial part in its marketing strategy," she said. Torrens also said that UK delegate numbers at EIBTM were up on 2008, but the exact figure was unavailable.